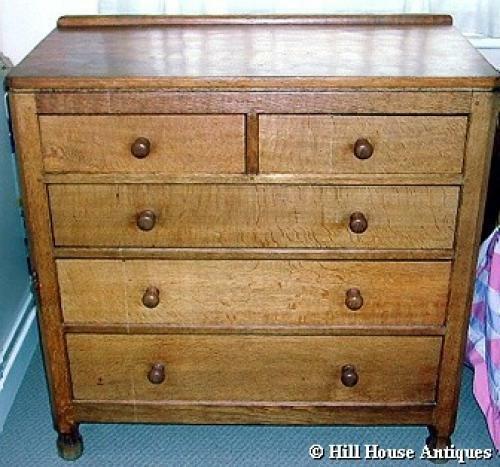 Superb early period 1930s oak chest of drawers with panelled sides and oak back by Robert (Mouseman) Thompson of Kilburn, Yorks. Approx 36" wide, 36" high and 18" deep. Has quite an interesting provenance.